My accomplice chose the Mont Blanc ($5.6). It had a airily light chiffon base which was nicely decorated with the pretty swirls of Japanese chestnut with custard cream. I have no idea why the chef decided to call this the Chiffon Cup. Yawn, the name hardly does justice to the dessert. If it’s up to me, I will call it something like: happiness-in-a-tiny-cup, or omg-the-best-chiffon-cup. “Mmm.. Mmm..” This is all we could muster after having the Chiffon Cup ($3.5). How could something be so impossibly light, and dainty? Not to mention that there’s my favorite puff pastry on top of the chiffon too! I’d buy half a dozen of these, and have it for breakfast, lunch and dinner. And no, I’m not going to share them with anyone. They are all mine! ALL MINE! If you like green tea, you will definitely enjoy the Emerald Isle ($5.2). I had this cake during my previous visit to Patisserie Glace (which I didn’t blog about). The perfect pairing of Green Tea Sponge with red beans, and topped with Japanese chestnut and strawberry. Give me a Strawberry Souffle and I will do anything for you. After having the Japanese Desserts from both places, I’m more inclined to go back to Flor Patisserie mainly because they have a dine-in area. 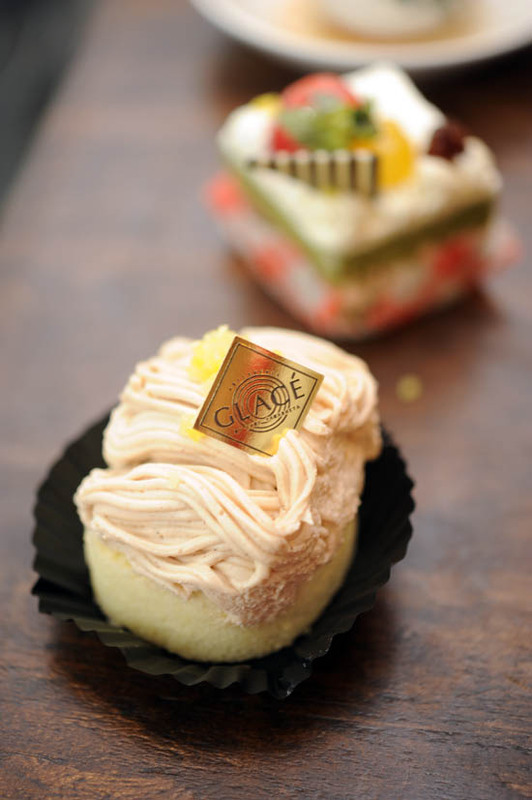 But if it’s a takeaway, Patisserie Glace at Icon Village (5 minutes walk from Tanjong Pagar MRT) will be more convenient. Having been to Tampopo Deli, Patisserie Glace, Flor Patisserie and Provence Bakery, I think it’s time to check out Kki at Ann Siang next. Tell me, which is your favorite Japanese Patisserie in Singapore? // There’s no dine-in area at Patisserie Glace. However, you can eat the cakes at Kopi Alley which is just around the corner (with the purchase of any drinks). If you are working in the area, drop by after work as there’s 20% off cakes after 6pm. 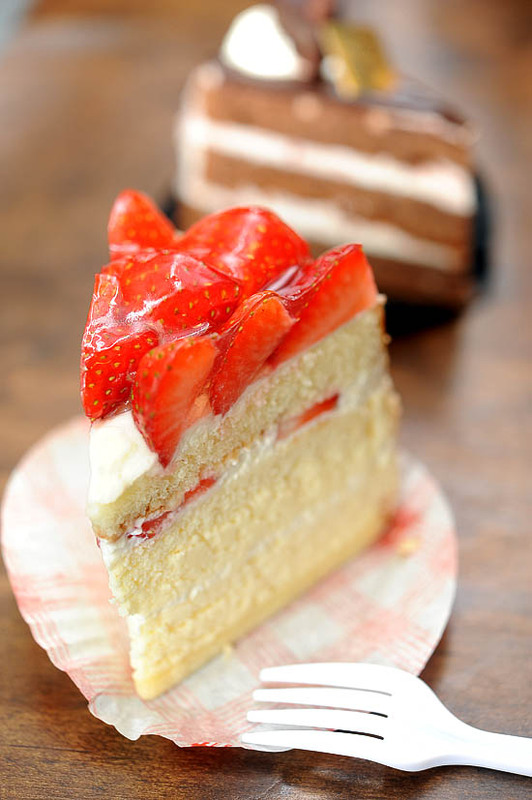 Check with you how Long can I keep the cake if store at refrigerator?